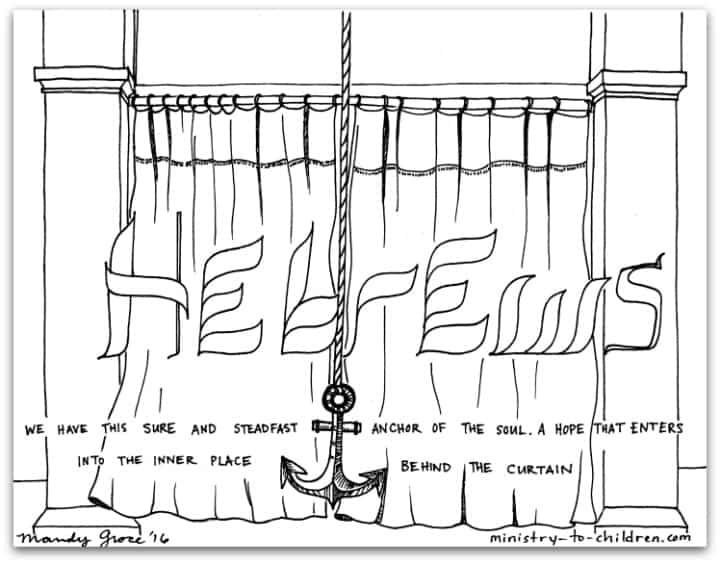 This free coloring page is based on the Book of Hebrews. It’s one part of our series of illustrations for each individual book of the Bible. We have this sure and steadfast anchor of the soul. A hope that enters the inner place behind the curtain.